What all went wrong with the Ford Fiesta in India? New Delhi, Jan 28: The American car maker Ford has had a hard time to establish a name in India. It has not seen much success as compared to the other automotive manufacturers like Hyundai or Honda. Fiesta was Ford's redemption in the country as its first-gen was able to win over people's hearts. But with growing competition, Ford failed to step-up their game and fell head's down after the launch of its second-generation Fiesta. 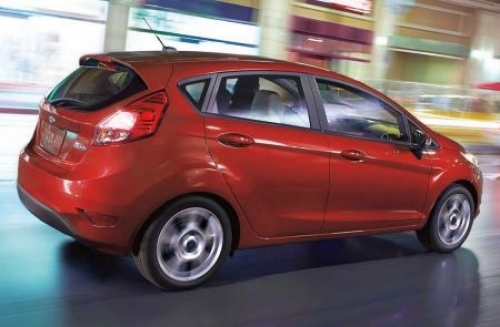 The Fiesta was launched with 3 Diesel and only 1 petrol variant throughout. This was a big reason for the Indian customers not to choose Fiesta. If Ford brought a more powerful Petrol variant in the line-up and would have also barred down the price tag, then Fiesta would have been one of the best-selling sedan. Because of slow Business in 2012, Ford focused in the service area by launching the first QuickLane center. They should have been launched at least one new car that year for the sales figure to meet at par. Talking about some of the amazing perks of Ford Fiesta, the car looks aesthetically rich and also gives a feel of a premium mid-size sedan. Every crease on the body of Fiesta looks fierce which makes the car cut through the air very easily. Also, the specially designed grille on the front allows natural cooling of the Engine very effectively. Talking of the factor of safety, believe me, Fiesta is a very safe car. Actually, it is one of the safest on Indian roads. Not only because of airbags and ABS system installed as standard but also for the Boron Steel body used by Ford to ensure it is as durable as four times that of HS Steel. The driving experience in the Fiesta was amazing. The standard 1.5L TDCi Engine produces approx. 91 PS along with an output of 205 Nm. The mileage is also impressive for a mid-size sedan ranging at 15-17 Kmpl. Another reason for the Fiesta to vanish from Indian roads is strong competition. A competition which Ford had not managed to beat. On the red corner is our Ford Fiesta and on the blue corner is the best in segment Honda City, Maruti Ciaz, Hyundai Verna and Volkswagen Vento. Now guess who will win! One more reason to keep the sales figure down was that of poor marketing. The dealers alone were confused between Classic and Fiesta and on top of it, it was the EcoSport that caught the eyes. Bringing in the Ecosport might've been one of the biggest reason for the Fiesta's downfall as it was almost priced similar to the latter and was more tech savvy than Fiesta. High ambition by Ford Motors should not be put down. They can very well grip the Indian Car market and close their best in-lines to boost up their sales records as well as deliver high-quality cars which Indians admire at a budget price. All in all, it was a tough luck for Ford Fiesta in India because of the introduction of lower-priced yet better-equipped sedans.